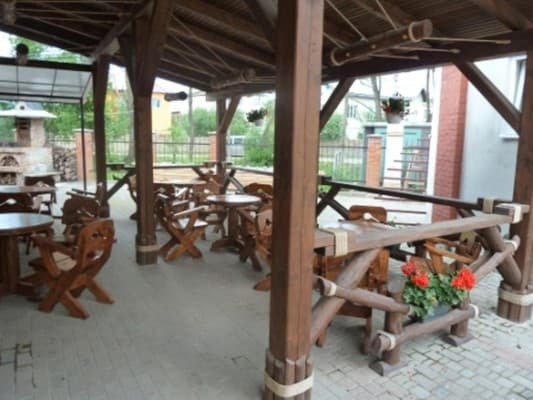 Hit of sales in Ivano-Frankivsk! 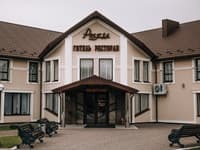 This classically decorated hotel is located just a 5-minute drive from the Ivano-Frankivsk International Airport, in the village of Krichovtsi. 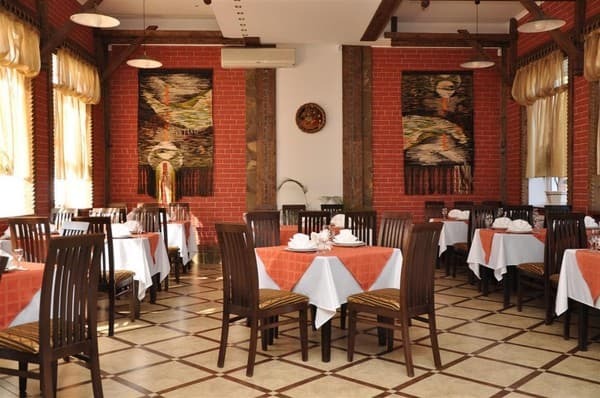 It offers a 24-hour front desk, free private parking and a traditional restaurant. 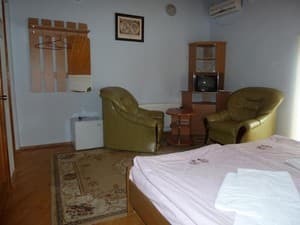 The individually decorated rooms and suites of the Green Wedge Hotel are decorated with patterned carpets and are equipped with soft lighting and the walls are decorated with wooden panels. All rooms have air conditioning, and some also have a private balcony. 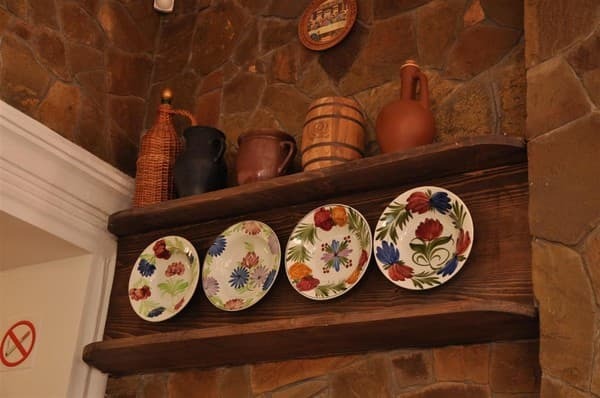 The cozy restaurant of the hotel with a unique hand-painted on the walls serves traditional Ukrainian and European dishes. In warm weather, guests can make use of the barbecue facilities. 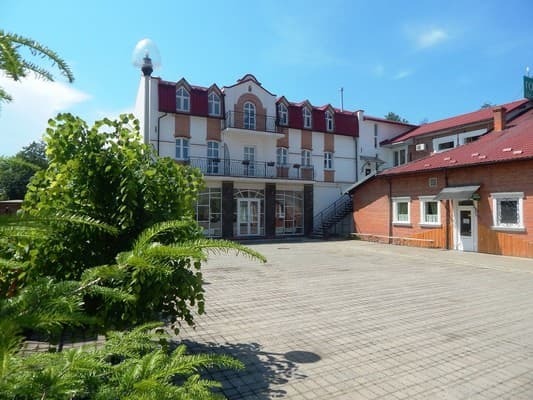 Within 5 minutes you will reach the historical center of Ivano-Frankivsk, where the regional art museum and the Market Square are located. Shevchenko Park is also just 1.5 km away. 30 meters from the hotel "Green Wedge" is the bus stop "Sadovaya Street", which can be reached in different areas of Ivano-Frankivsk. An airport shuttle can be arranged upon request. 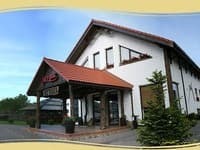 Hotel Green Klin: guests of Booking.com here are accepted from June 13, 2012. Description of the room: This air-conditioned suite has a cozy interior and a private bathroom with free toiletries. Check arrival: from 12:00 - 00:00 hours. Check leaving: to 11:00 - 11:00 hours. All children are welcome. Is free! All children under 2 years stay free of charge when using existing bedding. All older children or adults are charged UAH 100 per night per person for extra beds. Maximum capacity of extra beds in a room is 1. Baby cots are not available in this room. Extra beds are available on request. You need confirmation from the administration of the facility. Additional services are not included automatically in the total cost and are paid separately during your stay. 30 meters from the hotel "Green Wedge" is the bus stop "Sadovaya Street", which can be reached in different areas of Ivano-Frankivsk.